The still unparalleled precision of measurements provides a three-dimensional vision of our galaxy, to strengthen galaxy dynamics and formation models, particularly their initial formation, with the accretion mechanisms. The researches on stars' life, formation and formation dynamics in galaxies greatly improve thanks to Gaia data. Gaia measurements identify with precision the gravitational disturbance traces due to dark matter, thus enabling to refine the knowledge of its distribution. Numerous highly accurate measurements on several categories of objects (among which Quasars) refine the reference systems used in all domains of astronomy. 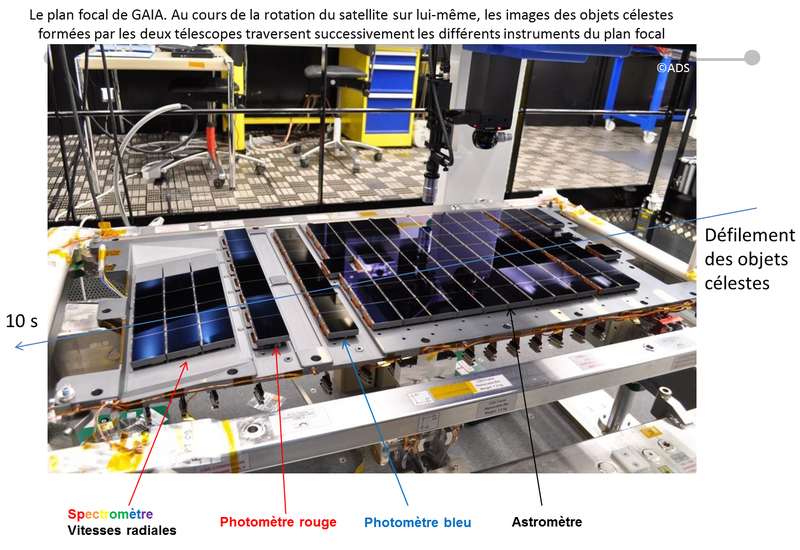 Even if it is not its main mission, Gaia will bring its contribution to the search for extrasolar planets thanks to the precision of the photometric and astrometric measurements. The discovery of 10 to 20,000 exoplanets is expected: each object should be seen about 100 times during the mission thus the transit method could be used for about 5,000. Thanks to the precision and number of measurements, our knowledge of the small objects in the solar system will be greatly improved, thus refining the model of planetary systems. Gaia astrometry mission could be named "super Hipparcos": this satellite launched in 1989 enabled to position 120,000 stars at 1 milli-arcsecond. Gaia is 10,000 times better in quantity, and 100 times in precision. Gaia is observing 1.3 billion objects with a magnitude lower than 20.7, among which 350 million have a magnitude lower than 18, among which 35 million have a magnitude lower than 15. Their radial speed is measured with a precision of 2 to 10 km/s for the objects of magnitude <17. During its trajectory in the focal plane of the instrument, each object observed crosses three kinds of detectors: the first detects and positions the object (Sky Mapper), the second conducts the photometric measurement, and the third, named RVS (Radial Velocity Spectrometer), conducts a spectroscopic measurement. The constant rotation of the satellite on himself (spin) and its rotation around the Sun during the year enables Gaia to scrutinize quasi uniformly the celestial sphere enabling a regular sampling on five years with about 100 observations per object. These multiple measurements will provide a dynamic vision of the objects observed, especially the orbit determination. 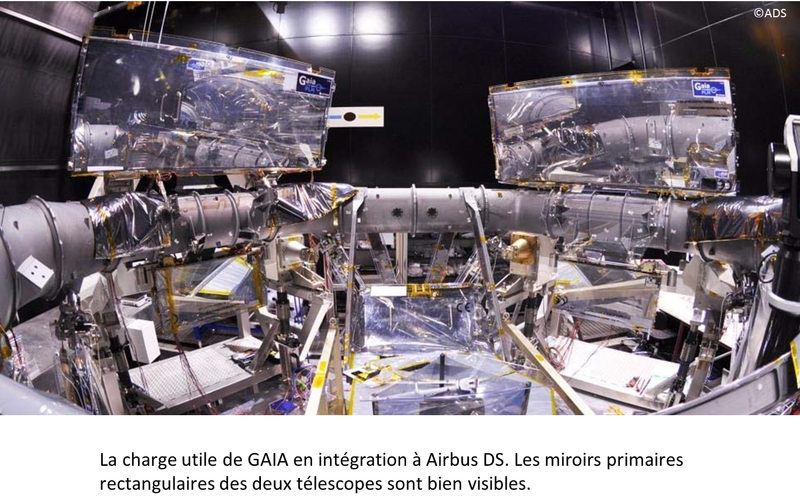 Gaia is equipped with an internal and autonomous detection system: contrary to Hipparcos whose observations were determined from a catalogue of known objects, Gaia will observe all the objects in its field of view, thus enabling to discover new ones.